You’ll want to return again and again to this Hatteras Island classic. Enjoy ocean and sound views from the top floor, including sunsets over nearby marinas. With the beach just a short walk away, it won’t be long before you’re Hooked on Hatteras. A cargo lift to both living levels is available from the ground level to make your move-in a breeze. Stow you fishing gear and beach toys in the ground level storage room, where an additional freezer will hold all the delicious fish you are sure to reel in. 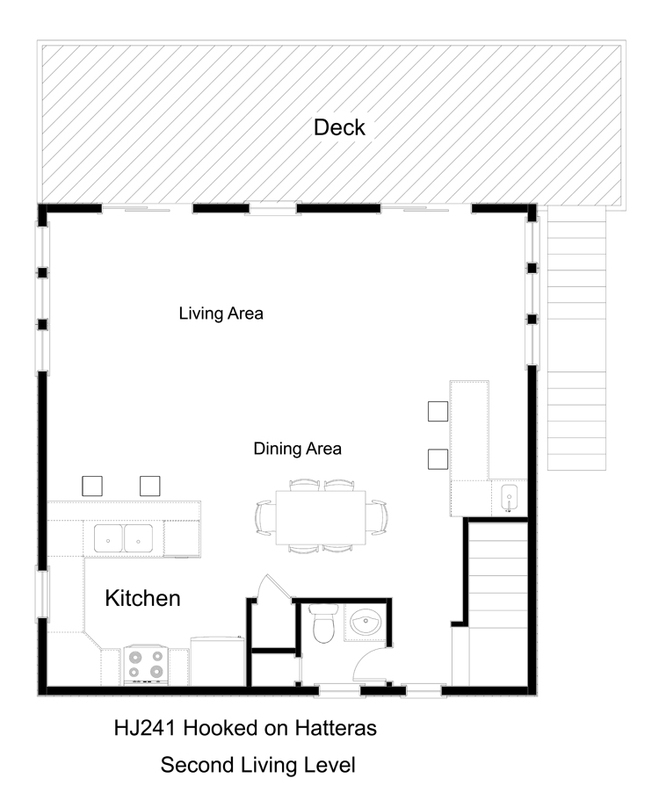 All four bedrooms are on the first floor. 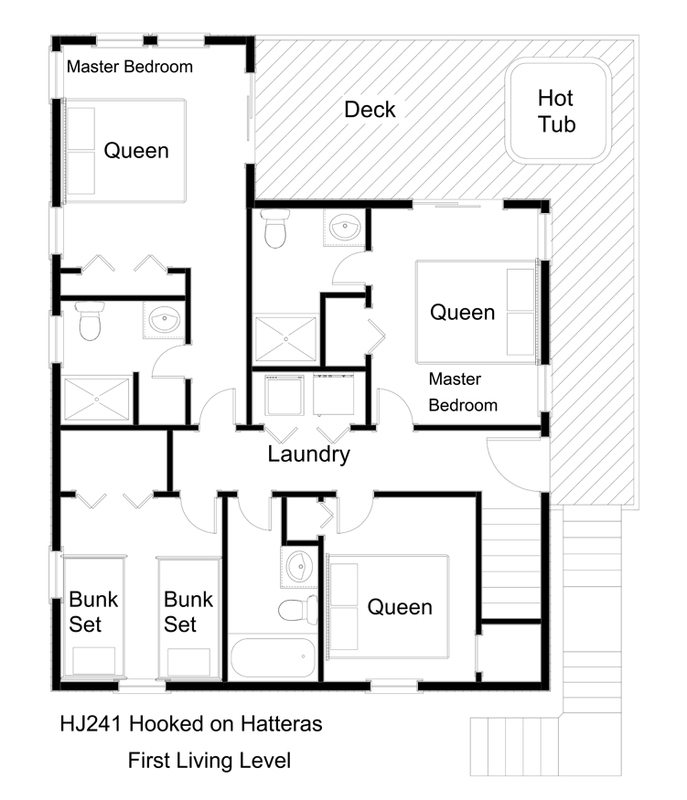 Two queen master bedrooms, each with shower stall in its private bath, open onto the shaded deck with hot tub, available from early April through the end of October. One of the master bedrooms has a TV. Another queen bedroom and a room with two bunk sets share a full bathroom off the hall. Upstairs you will love the views from the open living, dining, and kitchen area complete with wet bar and convenient half bathroom. Step out onto the sundeck to watch the sunrise over the ocean or enjoy a good book. Take a fishing charter and spend your days on the water, or get your toes in the sand at the nearby beach. Shopping and dining are a quick walk or drive away, or you can take a trip back through time at the nearby Graveyard of the Atlantic Museum. Adventure awaits at Hooked on Hatteras. Hot tub not available from 01/01/19 - 03/29/19 and 11/3/19 - 12/31/19. Hello! Am interested in this house, am wondering if there is a path that would allow beach access - looks like from the pictures it is close to beach but wondering how far to access beach. About 300 feet down the road towards the ocean is the deeded access for that subdivision (almost right in the center of the curve). The downstairs storage room with a chest freezer is a great plus if fishing.